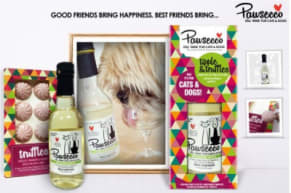 So your dog can join in the Christmas toast! 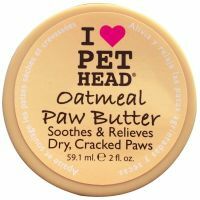 Give your four-legged friend's paws some much needed TLC with this pampering butter that will protect and soothe. Made from oatmeal, shea and cocoa butter with aloe vera, mango and vitamins E and F. It is pH neutral, free of parabens and alcohols. A genius invention that has been carefully designed to keep your pooch entertained and encourage exercise by offering the reward of treats. It comes with a mobile button that can be placed anywhere around the house, even on a window. 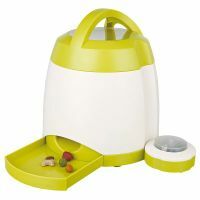 Everytime your pooch paws the button, the feeder releases a treat. 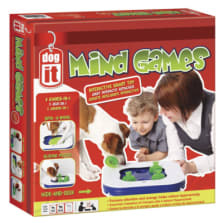 The perfect Christmas present for a canine - fun and treats! 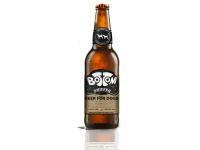 If you have ever wanted to share a beer with your best canine friend, here’s your chance! Non-sparkling and non-alcoholic, this beer is filled with healthy ingredients, like dandelion and burdock. Brewed with non-fermented beer wort, seaweed, natural chicken flavouring, malt barley extracts, rooibos, flax and nettle; it is the perfect liquid refreshment. Contains preservatives. If your idea of a pet bed is a rather smelly basket/blanket combo, then think again. 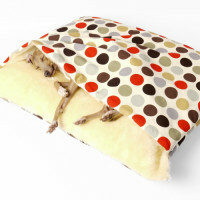 Charley Chau Dogs Beds & Blankets have, inspired by four Italian Greyhounds, come up with a range of dog bedding that is not only stylish and practical but achingly cool, too. Keep your canine companion warm and dry during the colder months in this award winning parka jacket for dogs. It is water and windproof and fitted with a reflective trimming so that your pooch is always easy to spot. Perfect as a Christmas gift to keep chilly breezes at bay! 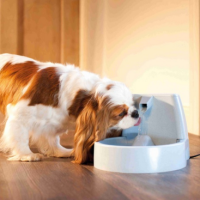 Research shows that one of the best ways to improve your pet's health is to get them to drink more water. 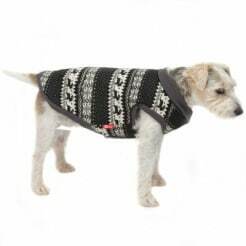 If your pet wants to look stylish for the holidays, then this chic neck jumper should be on their Christmas list! The ultimate chew toy! 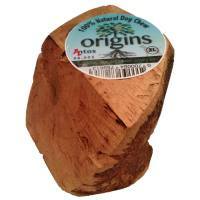 It is made of the tuber root of a tree, air-dried and carefully sized to retain its nurtients. It is splinter-free and it comes in different shapes, sizes and weights. If you're looking for a present within a specific budget, perhaps our Christmas lists of presents for dogs, and dog-loving humans under £5, under £10, under £20, under £40 and luxury will give you some ideas. It is often said that a dog is a man’s best friend, and is a part of the family. So, it is only fair that when you are picking up Christmas presents for all your family and friends this year, you include your dog as well. We have compiled a list of a few of our favourite gift ideas, to suit every budget, plus a few for you to treat yourself, or your loved ones. We hope we helped you find the perfect gift for your loved ones, whether they walk on two legs or four, or at least gave you some good ideas. Of course, Christmas is about much more than just gift giving, and so we wish you a lovely festive season, filled with happiness, love and plenty of cuddles.